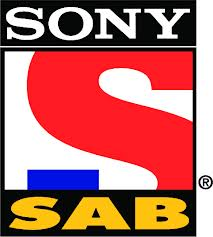 Hindi entertainment channel Sony SAB has departed from Freeview's connected TV platform before a programme even aired. Sony SAB had a 'coming soon' slate on channel 236, but it was removed Wednesday 11th. The placeholder/coming soon slate had been in the Freeview channel line up since 22nd August 2012. The channel range from channel 225-299 is reserved for "streamed channels", delivered via the internet to compatible and connected Freeview HD devices. The channel was also available on Freeview for just over a year in the Greater Manchester area, as part of the Manchester Television Network on channel 53, before vanishing at the end of November and being replaced by Zee TV's Lamhe channel. It was announced yesterday that The Jewellery Channel has signed up for Arqiva's Connect TV service, which already delivers a number of extra services via a 'connected red button' service on Freeview and several specialist channels streamed via the internet to compatible Freeview HD devices from channel 225. No further information as to the scope of the service is known at this stage. The Jewellery Channel is currently available on Freeview channel 49.